Nokia has filed a complaint against rival HTC with the ITC which could result in a sales ban against two popular models produced by the Taiwan based manufacturer. The Verizon exclusive HTC DROID DNA and the HTC One could both face ITC exclusion orders in the country if the commission finds that Nokia patents have been infringed on. The filing was submitted last month. Besides the HTC One and the HTC DROID DNA, other models mentioned in the complaint include the 2012 series of HTC One phones like the HTC One X and the HTC One X+. The Nokia patents cover technology for video processing, internal smartphone design and radio transceiver technology. Over the last year, Nokia has accused HTC of infringing on over 50 of its patents in suits that have been filed with German and U.S. courts. Last month, Nokia filed a suit against HTC in a San Diego court alleging that HTC infringed on three separate Nokia patents for a "terminal, method and computer program product for interacting with a signalling tag." Nokia alleges that HTC uses this patent in ten smartphones including the Facebook Home powered HTC First and the HTC One. I hope not. I was waiting for the HTC One Google Edition. It is coming for sure. For once HTC started doing well and then other start getting Jealous. Piss off Nokia. first make Android Phone then come to challenge HTC One. If Nokia make Android phone, do you think still have space for HTC??? HTC get popurity on HTC one only. HTC has been making great hardware since 1998 , do a google search . 2nd place?? are u nuts?? they can never outsell the htc..htc's smartphones already beat nokia to the core,htc products have their own grace and about that competition sony has managed to sell more midrange units than nokia...if you think that lumnia 520 has done some good sales go and ask the retailers about xperia sp and xperia L ! and if i tell you that htc explorer and wildfre s alone have manged more sales than the entire lumnia series ! I would like to remind you that Nokia is still on # 2 without even Android. HTC is too far from Nokia even with Android and WP. So what? I am talking about mobile manufacturer. Stop going off the topic. Nokia is on #2 do some research please. http://en.wikipedia.org/wiki/Mobile_phone Scroll down to Mobile manufacturers link. For God's Sake! Please stop fighting and improve your products. Both Nokia and HTC are just going down and down. I kind of don't know what to say. I love HTC though and barely like Nokia so I hope this case can get solved without bans. what's next? Kodak going to sue all smart phone manufactures because they use camera. All this I sue you, You sue me bulls**t does not mean anything to us the consumers. All we care about is quality of product. I mean hell Microsoft Windows was a stolen idea. get over it and start amazing people. Nokia ='s new Apple. Shame on you! In the last 9 years Nokia has spent 9x the money on R&D vs Apple. NINE TIMES. In 2012, it spent more on R&D than IBM. Sorry, but if a competitor, which has spent a small fraction of that money, ends up using a patent without permission & royalty payments, then it is up to the governing bodies (ITC, various courts) to figure it out. HTC also used Nokia designed HAAC microphones in its HTC One, which it heavily marketed as offering DISTORTION FREE RECORDING. It also claimed it had no knowledge these HAAC's were Nokia's since it bought them from STM, a reputable supplier to both companies. What HTC did not state was that Nokia was very public in its patents, a white paper explaining the HAAC's and how they are critical to its own Rich Recording technology. HTC claims its engineers, product developers and patent lawyers were completely unaware of a competing technology when the company marketed DISTORTION FREE RECORDING over a year AFTER Rich Recording was marketed and commerically available (first on the 808, then on most Lumia devices). For HTC to claim ignorance is bliss is truly incredible. IMO, if they get penalized for this behavior it's none too soon. Theft of IP that goes unchecked hurts true innovation. 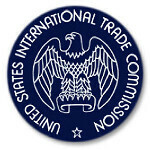 We shall see what the ITC rules on this and many other areas of contention between the company's. Nokia may have spent 9x the R&D but that includes their software as well. Past 2008 Nokia has nothing to show for that R&D except for a camera. The microphone case went the way it did because the court decided HTC was not at fault, the microphone manufacturer was. Read the story about it, it's not that hard. Nokia is becoming more and more like Apple. But without the profits. For sure nokia have a profit from MS, 1 billion a yr, but from their products. .. the consumer will decide! Quite honestly, I believe this is one of the only ways Nokia can slow down it's competitors nowadays is by going the Apple route. Sue everyone in sight. HTC was slowly starting to change around its misfortunes and on the path to a real comeback with the One. A phone, in all ways, superior to any Lumia device. So what does Nokia decide to do to stop one of its competitors? Sue of course. I've been disgusted with Nokia's direction ever since Elop was planted in the company by M$ and the billion dollar payment to the Nokia board. This just adds more reason for me to be disgusted with Nokia. There are several ways the one is lacking superiority, camera and microphones, just to name two. Your bias is showing. Better look to that. Nokia darn near created the consumer cell phone industry (not to minimize Motorola and Siemens' contributions of course), and have thousands, yes, THOUSANDS more patents than their rivals, and the insanely good R&D department and budget to keep that lead strong. If they wanted to (if they didn't have royalty agreements in place of course), they could shut down every other cell phone line on the planet. HTC, Samsung, apple, Sony, etc etc would not even have cell phone lines without Nokia. Show some respect. I think you should look into the "bias is showing" part dude. Your skirt is waaaaaaaaay up there. That said, I know all about Nokia. I used to be an avid user of their symbian products. For years. And the old Nokia management went to the table and worked out patent deals with competitors almost all of the time. But the new MicroKia(or Noksoft) goes in for the "kill" with Balmers boy Elop in charge. Perhaps it's you who should brush up on their Nokia history. Nokia feels their patents are infringed upon and they're the new apple? Maybe they had a round table with HTC and HTC didn't bend, or maybe they didn't. Either way, this is what the patent system is for. You noticed it said over 50 patents. This isn't like 3 or four things like scroll bounce that apple is mad at. IF HTC is wrong here then they should innovate and not copy. If... I know if I worked hard on something and Jim down the block makes something that does the same thing as mine in the same way, I'm gonna sue as well. That's what patents are for. Not that they're right, but that's the way it is.